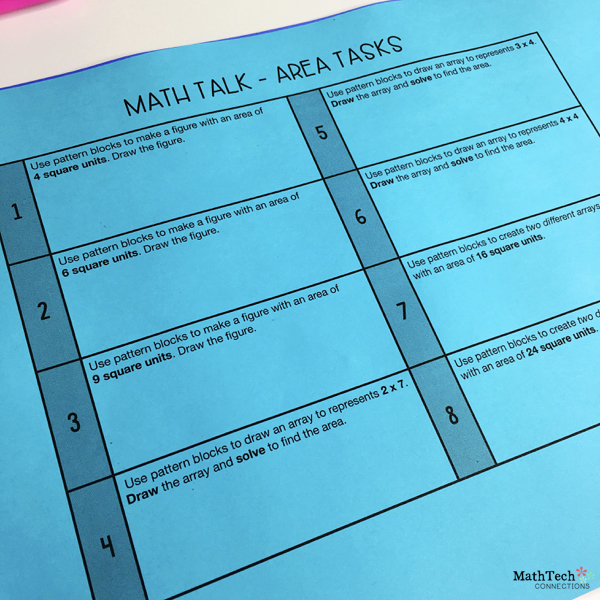 In this blog post I will go over the third grade common core math standards 3.MD.5 – 3.MD.6 and provide you with activities you can use with your students. I understand that the area of a plane shape can be measured in square units. I can measure area by counting unit squares. Bringing out the crayons is always fun! 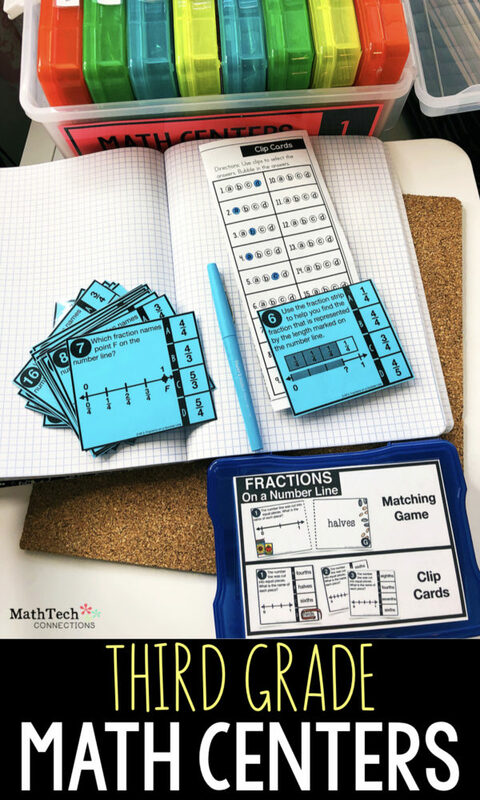 Students will enjoy this fun activity. 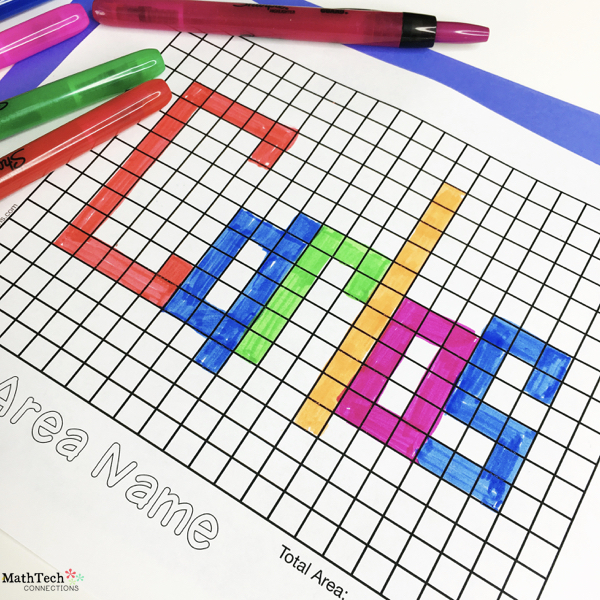 They can either draw their name or initials using this free printable activity. You can also use graph paper found in notebooks or any grid paper you may have. Outline your name with a pencil. Color each letter a different color. Find the are of each letter. 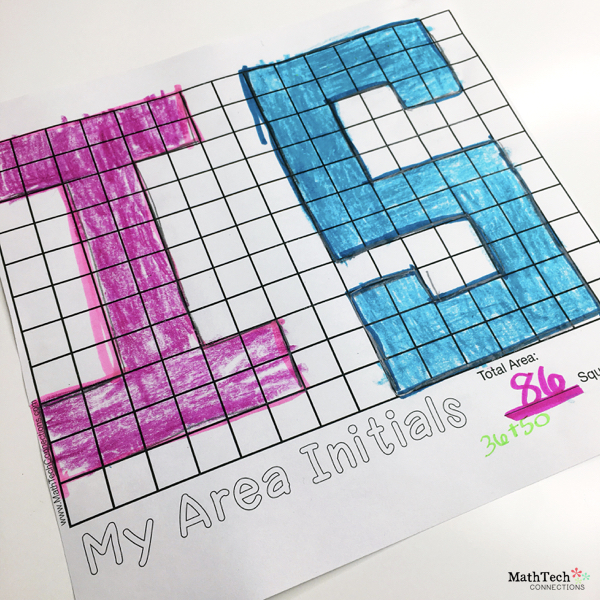 Add the area of each letter to find the total area. I bought an awesome set of dice from amazon. 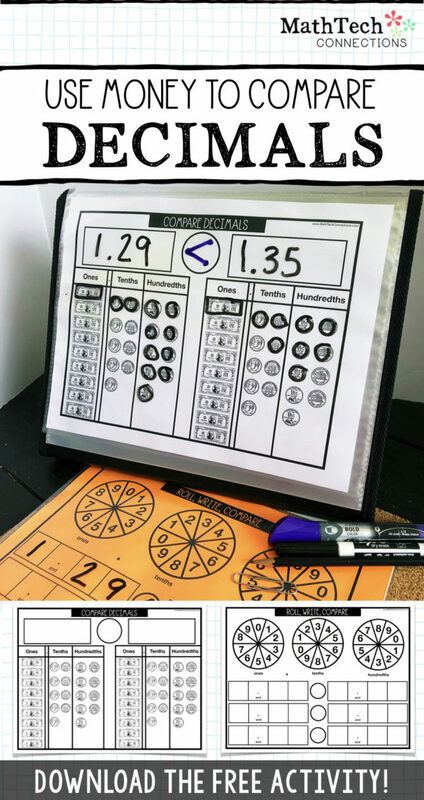 (Click to view affiliate link) This is a great partner game activity. 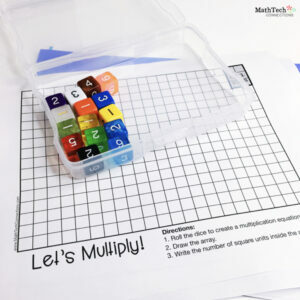 Students will practice their multiplication facts and review making area models. 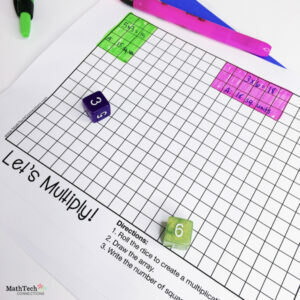 Use the two numbers to create a multiplication equation. Draw the array to represent the equation. Write the total square units inside the array. 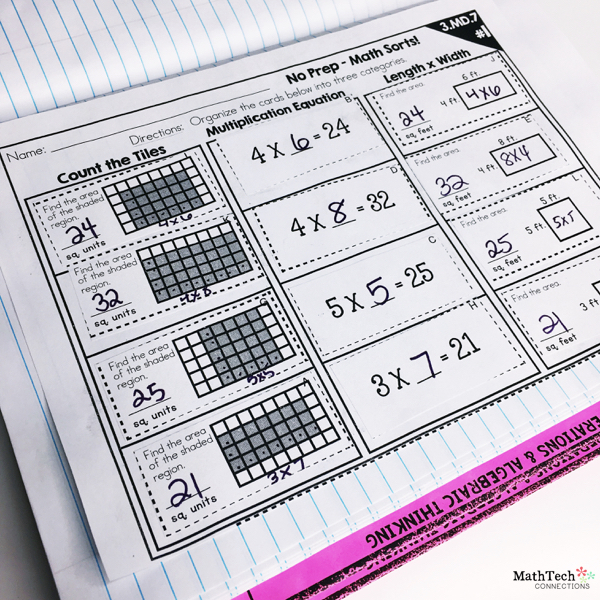 You can extend this activity by requiring students to also find the perimeter of each array. Students always pay a little more attention when you bring in a special treat 🙂 When introducing the concept of area, try to use only snacks that are in the shape of a square. Starbursts, Wheat Thins, and saltine crackers are a few you can use. Try to avoid using hearts or round snacks for this activity. 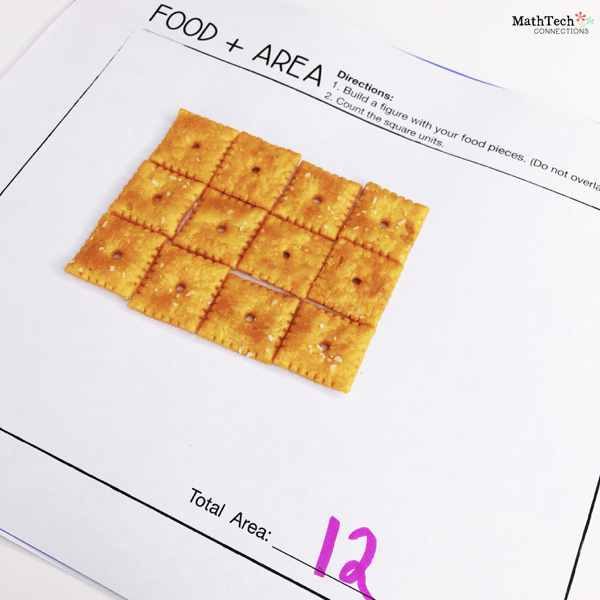 Below is a printable students can use as a mat as they build different figures with their snack. 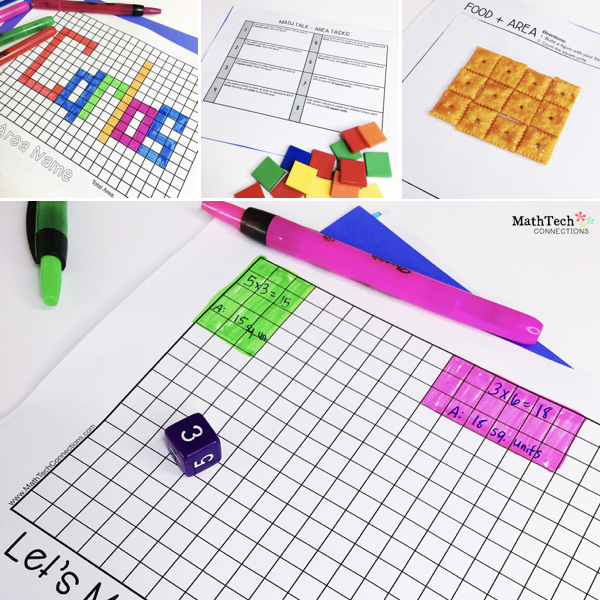 Students love using manipulatives, so take out these square counters and have students complete the following tasks. Use this quick, interactive power point to review area with your students. Below is a look at the power point. You can download this and the above activities by signing up for our newsletter. The free resources will be sent right to your inbox! 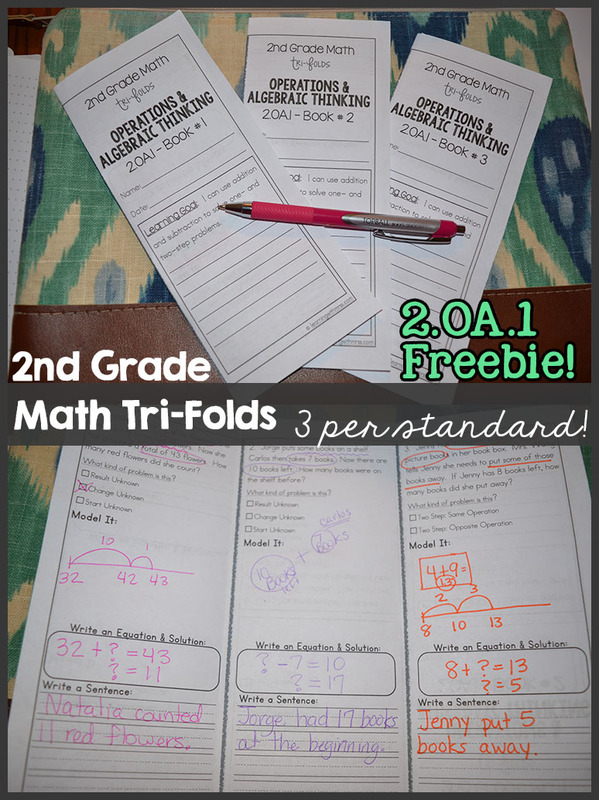 Enter your name and email address to get access to these free resources! Be sure to check your email and confirm your subscription. Math Sorts are the best math center I have used in my classroom. They are short, focused, and fun! 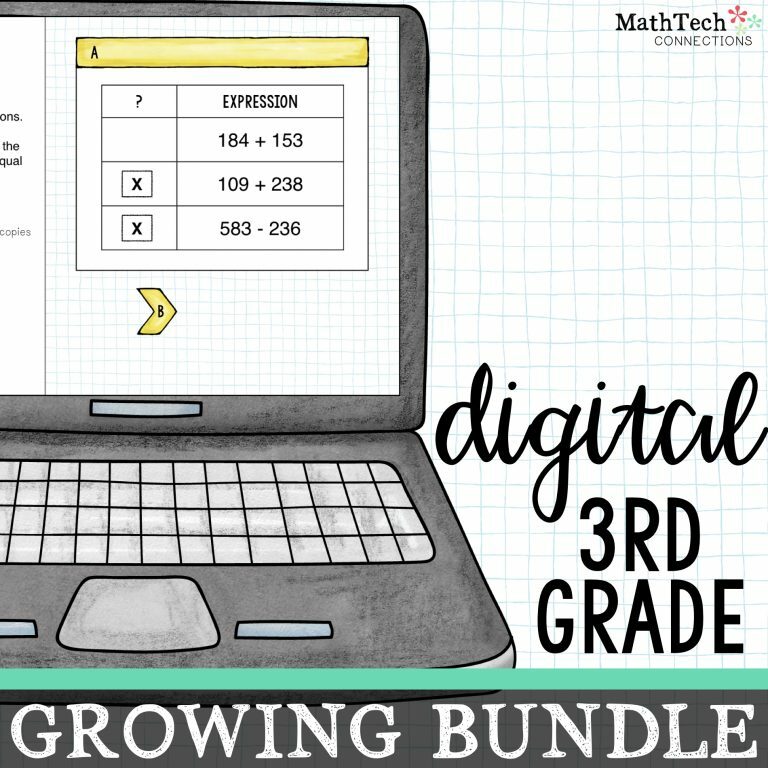 We complete math sorts together at the beginning of the year, but students catch on quickly. 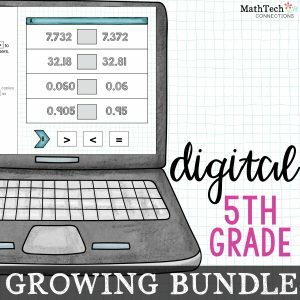 Click the picture below to view a set of measurement & data math sorts. You can also view the complete bundle here. 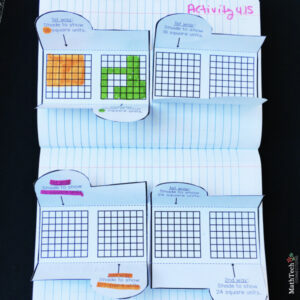 Interactive notebook activities can be used as a whole group activity or during guided math groups. 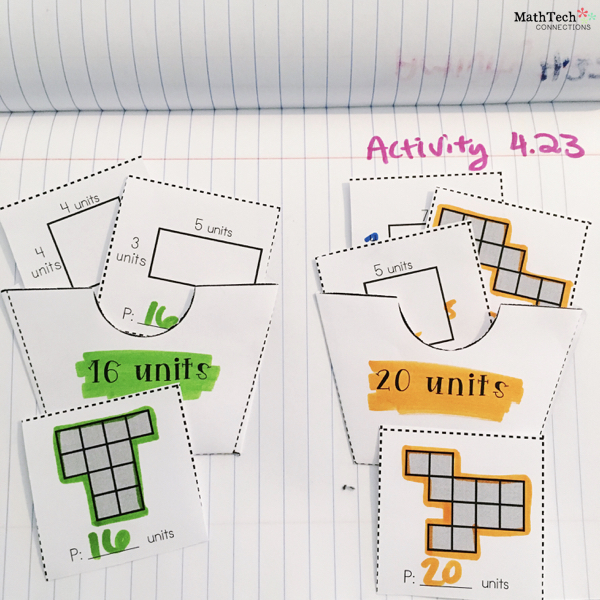 Below are a few pictures of area activities included in my 3rd grade interactive notebook bundle. 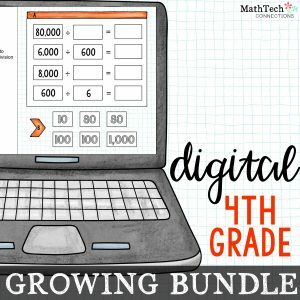 previous article: Technology Math Center?